Back in September, it seemed like this day would never come. After obsessing over the first half of the long (loooooong) anticipated first season of the Starz series, we were left hanging for six months. Six months! 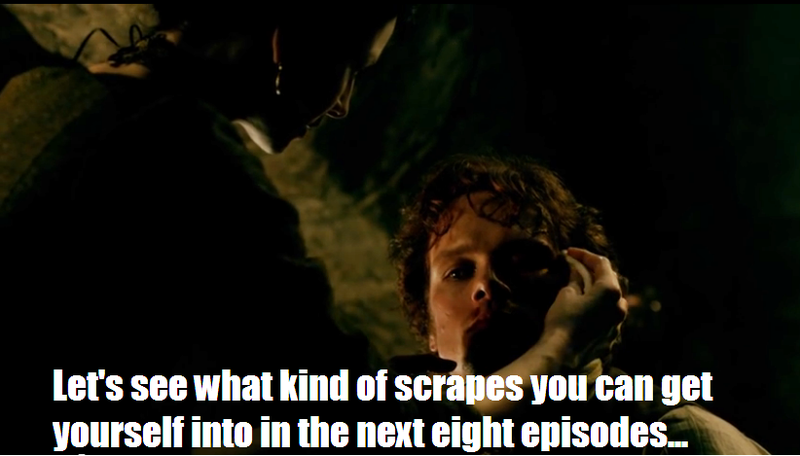 I’d call it torture, but it seems a little insensitive, considering all that our Jamie has been through. This Saturday, April 4, the moment we’ve been waiting for will finally arrive. Outlander will return with the start of eight more episodes for us to swoon over. 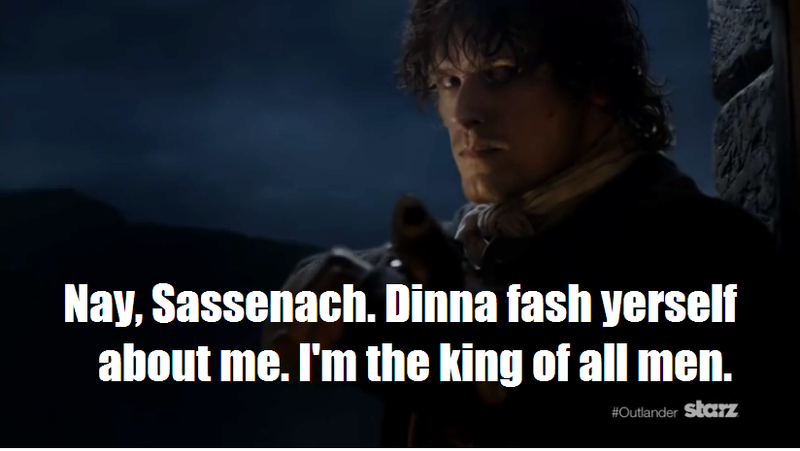 Eight more weeks of Jamie and his kilt. Eight more weeks of Claire and her sassy comebacks. Eight more weeks of Dougal’s beard! Sure, after those eight weeks we’ll probably start stressing about how long we have to wait for season two (Roger!? ), but let’s live in the moment, shall we? In honor of the best show ever based on the best books ever, Book Perfume will be devoting this entire week to all things Outlander. To kick things off, why not revisit some earlier posts about Jamie, Claire and the rest of the gang from Leoch? Be sure to check back through the week for more on our favorite time traveler and her ginger-haired Highlander. The end of Droughtlander is near, lads and lassies! How did we ever make it? Can we last five more days? Bust out the shortbread, throw on your finest tartan and bring on Saturday night! What Makes “Outlander” So Wonderful? Everything.